Extend your Journey. 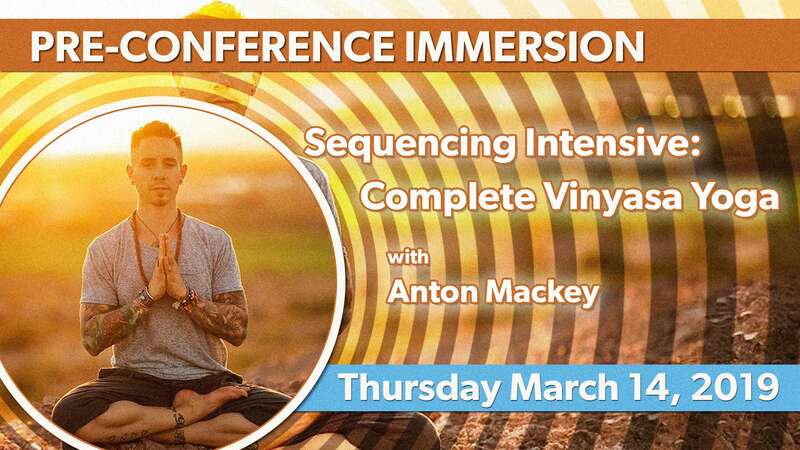 Register for a pre or post conference immersion for a deeper dive. Offered Thursday and Monday, March 14 and 18, 2019 at various locations. Limited to 13 participants! 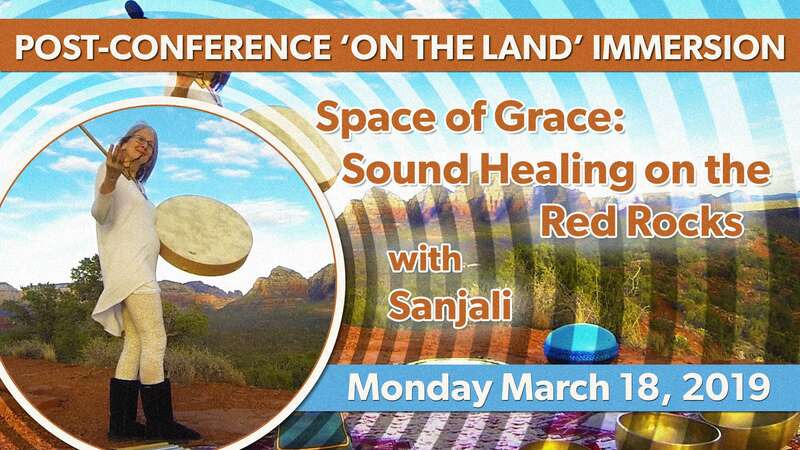 Enjoy a deep soulful walk within the embrace of Sedona’s red rock treasures and healing vortexes. 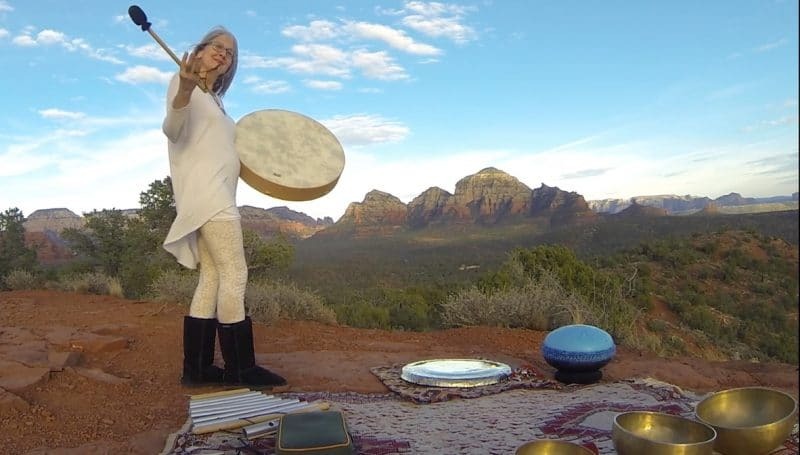 Anahata will share practices of how to listen with reverent awareness to nature wisdom teachers, animal spirit guides and the 4 elements for guidance, perspective and presence. Re-establish your connection to the circle of life than holds us all. Entrain your heartbeat to the rhythm of Mother Earth again. Learn to walk on the land, in harmony and connected to all things as our wise ancestors once did. Bring: Please wear comfortable closed-toe walking shoes. Bring layers/protection/hat/sunscreen appropriate for the weather. Bring at least 2 liters of water and snacks. Bring a journal and pen. Bring a day-pack to hold all of these belongings. No Yoga mat is needed. 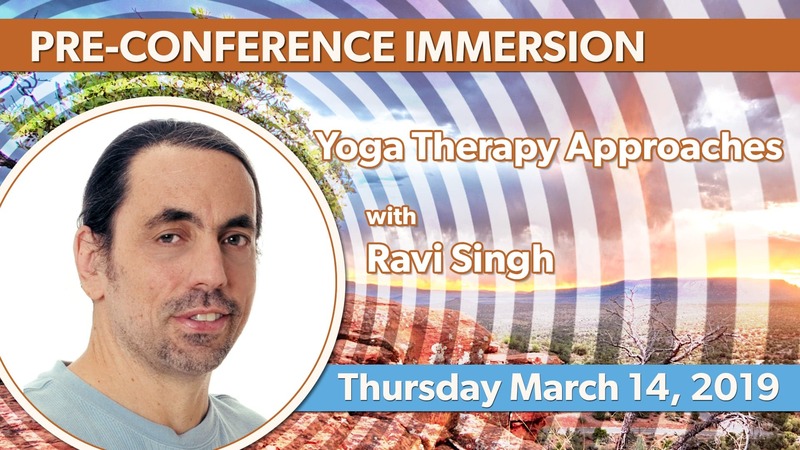 If a client came to you with depression, anxiety, adrenal fatigue, migraines, diabetes, high blood pressure, hypothyroid…do you have the yogic tools to give them something that works beyond the generic approaches most yoga teachers draw upon? Of course we’re not doctors and as yoga teachers we can’t claim to diagnose or heal, but as an adjunct to medical treatment we want to be in a position to make a difference for people. In this workshop you’ll learn specific techniques for a wide range of ailments to improve the quality of your students’ lives and dramatically add to your professional palette. Kundalini Yoga prompts the energy of energies to allow us to foster a relationship with energy itself. Let’s train ourselves to be conduits for the Universe to work through and raise our trajectory for optimal outcomes! We’ll do a profound practice together and gain powerful insights into the essence of the healing path. Celebrated Teacher Ravi Singh has 45 yrs. teaching experience and (w/Ana Brett) is Author of 25 bestselling DVD’s and an incredible new book: Kundalini Yoga: Life in the Vast Lane. Ravi’s approach is powerful, poetic, motivational, majestic, and fun! He’s been called the “Teacher’s Teacher.” He recently participated as an advisor to the Yoga Alliance Standards Review Project on Teacher Training Qualifications. Ravi Singh is a 500 hr. E-RYT T. Trainer and can offer CEU’s for this event. If you have a prevailing condition Ravi will do his best to offer a protocol as an adjunct to standard treatment. This workshop is for teachers and students who are looking to deepen their anatomical knowledge of yoga postures, while learning to create mindful and intelligent sequences. This workshop will help students/teachers gain a greater understanding of yoga anatomy and a heightened sense of body awareness. We will work on putting together sequences based on proper body mechanics and structural alignment as well as integrate and infuse energetic elements and spirituality into the theme of a class. This workshop will inspire you to be more creative and intentional in designing and delivering the complete yoga class! This is a must take workshop for every yogi and yogini sincerely practicing yoga inside and amidst a web of human relationships. Embodying love and passion without losing ourselves in fear, reaction, or unconscious patterns is the yogic challenge of any relationship. In this workshop with Vedic lineage holder, award-winning author and master teacher Acharya Shunya, learn the art of awakened Yogic relationships and step-by-step process of embodying Vedic wisdom by applying age old relational tools and communication practices. Acharya Shunya has positively impacted thousands of relationships by teaching people exactly how to wholeheartedly explore uninhibited, passionate love and at the same time remain strongly self-oriented in a state of yoga, by prioritizing each person’s own dreams and gifts. Learn how to most effectively relate to each of the three types of Vedic relationships; the four Vedic stages of life can help you better communicate needs; the concept of swadharma and understand who you are in relationship; differentiate between attachment and love; how to use the 4-point Yogic communication guide; and how to embrace yogic values inside relationships. 6. how to embrace yogic values inside relationships. 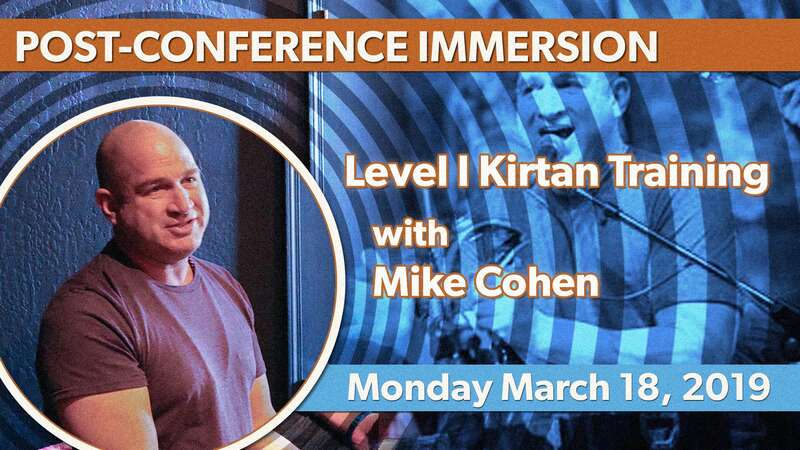 This post-festival immersion offers a unique opportunity to improve your harmonium and chant abilities with Mike Cohen, MA, Kirtan Leader Institute founder and his assistants. Build your repertoire with half-dozen introductory songs and work towards someday sharing Kirtan with others. Content includes learning 6+ songs, vocal training and rhythm training, and easy to use chant sheets for each song. Some experience required. If you are new to this, this training is not for you unless you have also taken the Level I festival integration. Bring your own harmonium, or use the one you rented in the Intro training. A limited number of additional harmoniums available. Held 9am-1pm. 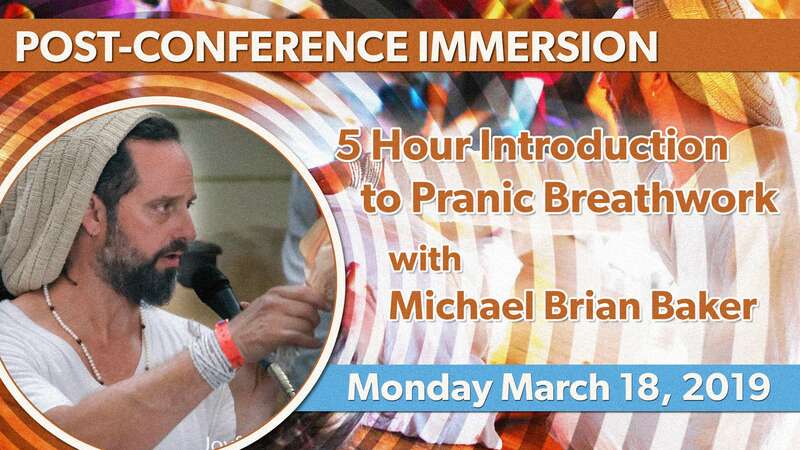 This is not only a continued deepening experience with Michael but also a glimpse into The Breath Center Series 1 Facilitator Certification. Mobility & fitness level: All participants must be capable of hiking a short distance on uneven surfaces as well as navigate various gradients of terrain without the assistance of a walking aid or third party. Each participant must maintain a current health level that is conducive to hiking at 4000 + elevation without preexisting health conditions that could jeopardize the safety of self or others. Bring: Please wear comfortable closed-toe walking shoes. Bring layers/protection/hat/sunscreen appropriate for the weather. Bring at least 2 liters of water and snacks. Bring a journal and pen. Bring a day-pack to hold all of these belongings. We will be laying out on the red rocks so consider bringing a yoga mat for that and a blanket to cover with if you so wish.